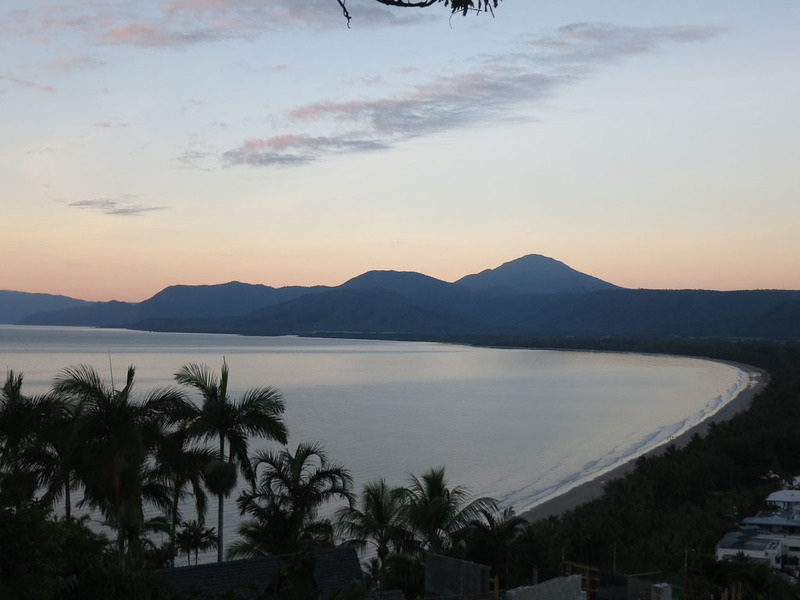 This is the highest point in Port Douglas and the view is spectacular. Especially if you go see it first thing in the morning. Even though the alarm annoyed the sh*t out of me, I had put it on for 5am. Cause I always hit the snooze button all the time. Eventually, I manage to wake up and then get ready. And this time was no different. Given it was my first day of a week long hiatus, yeah, I was internally cursing myself. And, given I had to walk from my hotel, I was even more annoyed. Alas. All of the anger melted away as the sun rose. The road alone was an amazing journey. The houses along the Island Point Road was just beautiful. The serenity, divine. Whilst it seems like these man made creations were actually in harmony with the rest of nature and that in itself was great to see. And then on the way, the changing colours of the sky. Words, could not describe the colours I saw. Nor the soft breeze that started down the road gently caressing your skin and drying the sweat. It was like nature was telling me to keep walking up that steep hill. And I was grateful that I did. As once I reached the spot, the view of the 4 mile beach was just serene. And through the trees, you could actually see around the entire island. Up there, I also met Bob. An elderly gentleman that chose to live a more nomadic lifestyle. He told me that eggs do not go off until atleast 2 weeks after it’s “supposedly” expired. He’d been living a life of excess and then chose to give it all up and travel this wonderful land to see it before his time was up. And to be honest, it was an interesting conversation. He did mention, that life in general is not meant to be left to last. And not to leave everything to the last minute or to the twilight of your life. And that, as time goes on, you do become more and more conservative. Unwilling to take risks. So take the risks and live your life. And that would have to be one of the most interesting conversations that I’ve had on my trip so far. What’s even more interesting is that I still remember this conversation because it has been close to a year after it had happened and the conversation is still fresh in my mind. Here’s to you Bob! I hope you’re living it up and enjoying life wherever you are.